My daughter brought me a bunch of daffodils over the weekend. It was the push I needed to get the Easter decorations out. It is cold and grey today which makes it hard to believe it's spring. This is the time of year when you hope that all the snow is gone. We Michiganders know anything is possible. No matter what is going on outside, it's spring inside! Sweet Amy sent me some fabric with an order and it was the perfect combination for the Easter bolster for my church pew. This is an area in my entryway that is a constant work in progress. 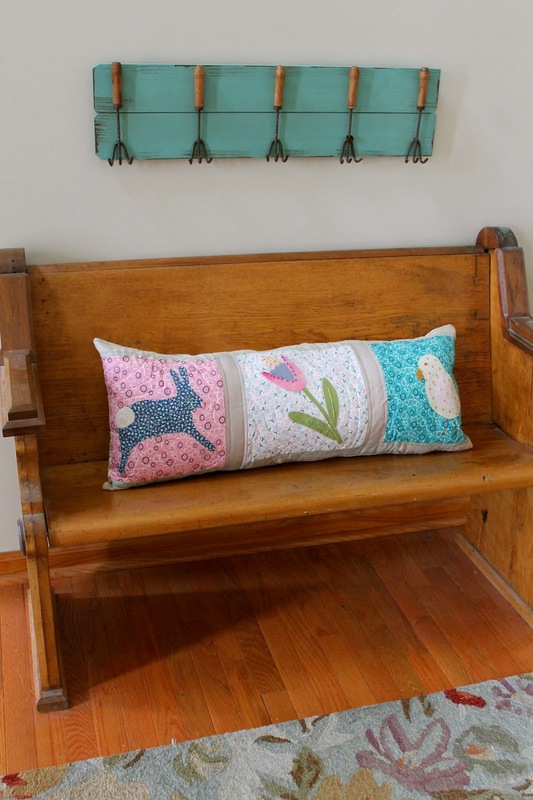 Greg mentioned that I need a quilt on the pew and he's right! It's a bit too bare for my liking. Any excuse to make a quilt is a good one! I hope you have a blessed Monday and that spring has sprung in your corner of the world. 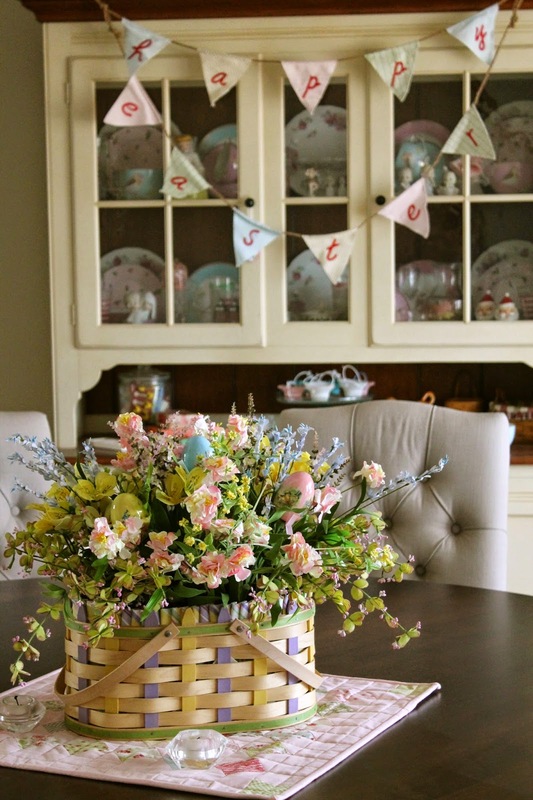 Your Easter décor is stunning, simply beautiful. You have me inspired to start my spring poofing today. How sweet everything looks. Love your entryway bolster. I have one started, just need to get it stuffed. Can't wait to see that new quilt. Thanks for sharing your spring decorating. I have been thinking about doing some decorating to make it feel more like spring. We don't have snow on the ground but the sky is gray. I agree that any excuse to start a new quilt is a good one. Your bolster pillow is so cute! I always love your color choices Renee. The basket of flowers on your table is beautiful, as is the new pillow on the pew. I agree, it could us a quilt but what couldn't? Everything is just lovely! 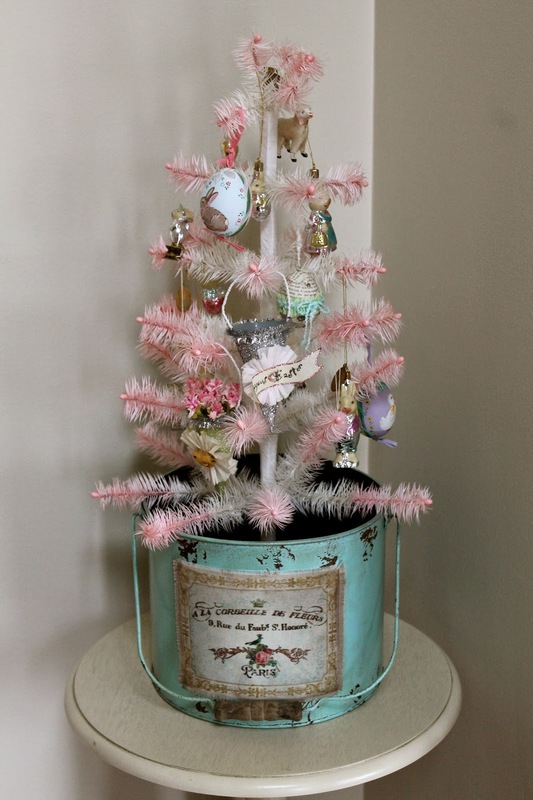 I love your decorations and your shabby chic decor! Nice Easter decor and LOVE the PEW!! I noticed the cross painting..cool! 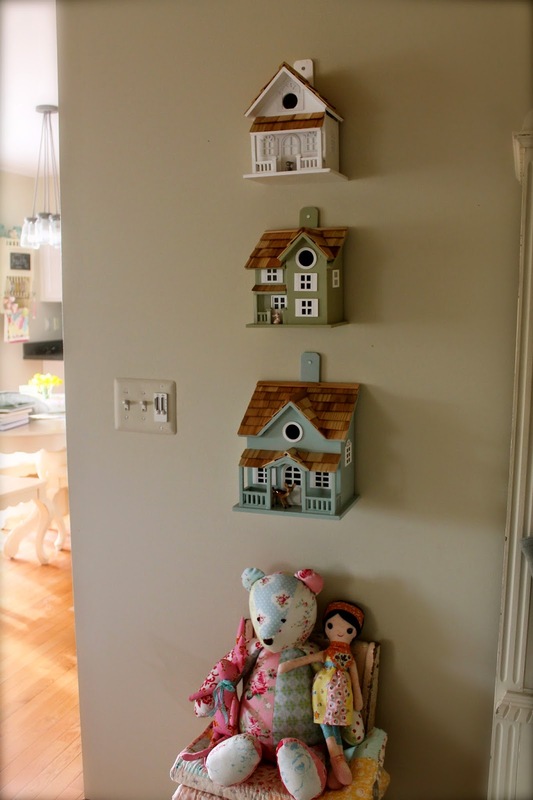 Thanks for sharing, especially love those bird boxes! 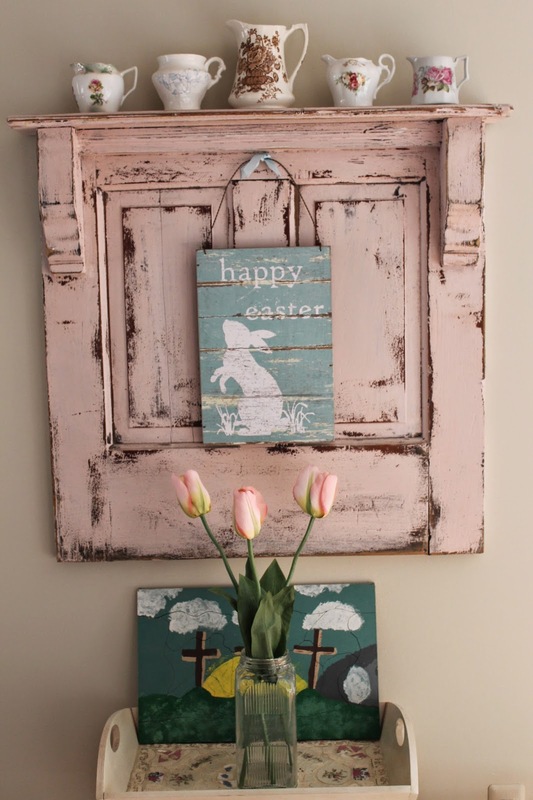 Your home looks so pretty for Easter! Love all those pastels! I just realized last night that Easter is next weekend. How did that happen?! Should I even admit that I have no decorations? Your home is gorgeous. I so love your church pew. A quilt would be a wonderful addition.